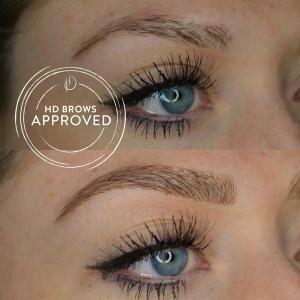 Home | Blog | What are HD Brows Extensions? They’re pretty much what you’d imagine! Individual hairs are placed on to skin or existing hairs to create an instantly fuller brow. The extensions are vegan-friendly synthetic fibres. They are available in a variety of colours from light blonde through to black, as well as a selection of lengths. With such a wide selection of extensions available, you can achieve natural, realistic looking results. The extensions typically last between 24 – 72 hours. Who can get brow extensions? Brow extensions are great for anyone looking to get fuller brows for a big event. They are ideal for brides, wedding guests or anyone attending a special occasion who wants thicker brows instantly. More than just a pre-party treatment, they are fantastic for anyone thinking of investing in a microblading treatment. It gives you the chance to see what the results might look like and get a feel for your new brow shape and size. But they’re not just for those with sparse areas. You can even add brow extensions on to existing hairs for a fluffy, textured finish. 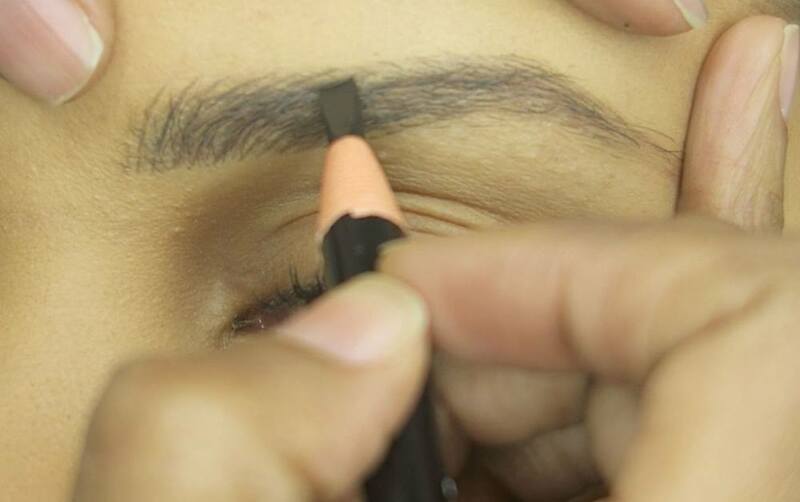 This is perfect if you’re after the on-trend brushed up brow. 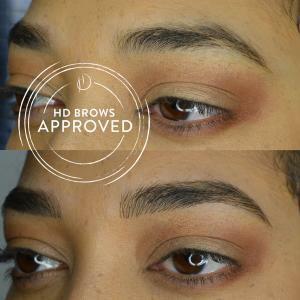 How can I train in HD Brows Extensions? HD Brows Extensions is a new treatment on our Master training. It’s reserved exclusively for our Master Stylists who have worked through their advanced training courses. 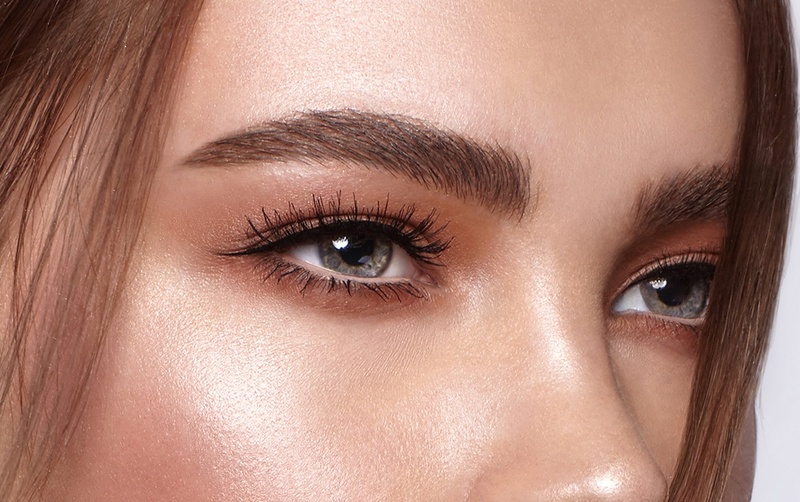 For any brow expert, it’s the perfect addition to your treatment menu. You can perform Brow Extensions on their own or as an add on to the HD Brows treatment. 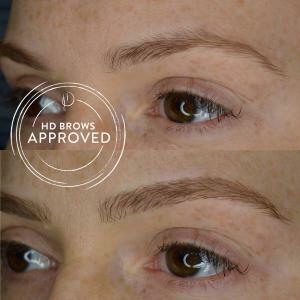 We recommend an Express HD Brows treatment beforehand to ensure there’s a perfectly groomed shape to work with. Treatment times will vary depending on the area you are working with. 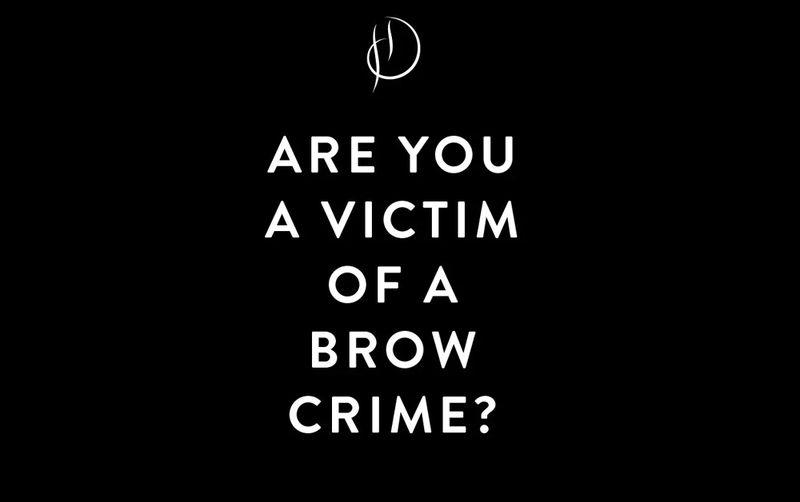 Ready to take the next step in your HD Brows career? Find out more here.